Born Irma Lee, as a teenager she sang with a Baptist church choir. She auditioned for Specialty Records at the age of 13. By the time she was 19, she had been married twice and had four children. Keeping her second ex-husband’s surname, she worked as a waitress in New Orleans, occasionally singing with bandleader Tommy Ridgley, who helped her land a record deal with the local Ron label. Her first single, “Don’t Mess with My Man,” was released in late 1959, and reached number 22 on the US Billboard R&B chart. She then began recording on the Minit label, working with songwriter and producer Allen Toussaint on songs including “It’s Raining” and “Ruler of My Heart”, which was later reinterpreted by Otis Redding as “Pain in My Heart”. Imperial Records acquired Minit in 1963, and a string of successful releases followed. These included “Wish Someone Would Care”, her biggest national hit, its B-side “Breakaway”, written by Jackie DeShannon and Sharon Sheely, “Anyone Who Knows What Love Is (Will Understand)”, co-written by a young Randy Newman and future country star Jeannie Seely, and its B-side, “Time Is on My Side”, a song previously recorded by Kai Winding and later by the Rolling Stones. Her first four Imperial singles all charted on Billboard’s pop chart, but her later releases were less successful. Unlike her contemporaries Aretha Franklin, Gladys Knight and Dionne Warwick, she never managed to cross over into mainstream commercial success. She recorded for Chess Records in 1967–68 with some success; her version of the Otis Redding song “Good to Me” reached the R&B chart. She then relocated to California, releasing records on various small labels, before returning to Louisiana, and in the early 1980s opened the Lion’s Den Club. Thomas and her husband still own the Lion’s Den Club near the French Quarter of New Orleans. Down By Law, the 1986 independent film by Jim Jarmusch featured “It’s Raining” in the soundtrack. The film’s actors Roberto Benigni and Nicoletta Braschi, whose characters fell in love in the movie, danced to the song. After several years’ break from recording, she was signed by Rounder Records, and in 1991 earned her first Grammy Award nomination for Live! Simply the Best, recorded in San Francisco. She subsequently released a number of traditional gospel albums, together with more secular recordings. The album Sing It! (1998) was nominated for a Grammy in 1999. Thomas is still active as a performer, appearing annually at the New Orleans Jazz & Heritage Festival. She reigned as Queen of the Krewe du Vieux for the 1998 New Orleans Mardi Gras season. She often headlined at her own club, but it went out of business due to Hurricane Katrina, which caused her to relocate to Gonzales, Louisiana, 60 miles (97 km) from New Orleans. According to her website she is now back in her home in New Orleans. In April 2007, Thomas was honored for her contributions to Louisiana music with induction into the Louisiana Music Hall of Fame. Also in 2007, Thomas accepted an invitation to participate in Goin’ Home: A Tribute to Fats Domino where, singing with Marcia Ball, she contributed “I Just Can’t Get New Orleans Off My Mind”. The same year she won the Grammy Award for Best Contemporary Blues Album for After the Rain. 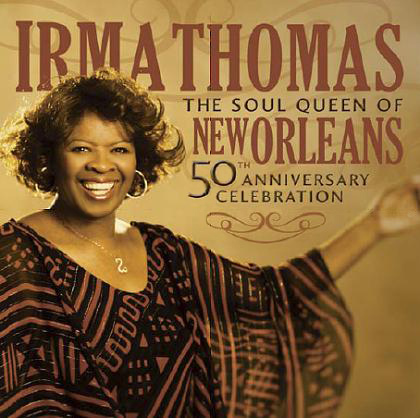 In August 2009, a compilation album with three new songs titled The Soul Queen of New Orleans: 50th Anniversary Celebration was released from Rounder Records to commemorate Thomas’ 50th year as a recording artist. Thomas was the subject of the 2008 New Orleans Jazz & Heritage Festival poster. She was chosen as the subject before the painting was chosen for the poster. Artist Douglas Bourgeois painted the singer in 2006. In 2010, Thomas rode in the New Orleans parade “Grela”. In April that year, Thomas performed at the Corner Hotel, Richmond, Victoria, Australia. In 2011, Thomas performed twice at the Bluesfest music festival in Byron Bay, New South Wales, Australia. On April 24, she performed on the Crossroads stage, coming on after Mavis Staples; then on April 25, she headlined the Crossroads stage, coming on after Jethro Tull and Osibisa. In 2013, Thomas was nominated for a Blues Music Award in the “Soul Blues Female Artist” category, which she duly won. She won the same award in 2014. Put the rumors to rest The Vettes is, in fact, a family band, but don’t be fooled: they don’t line dance and their father did not lock them in the attic with the instruments as children. 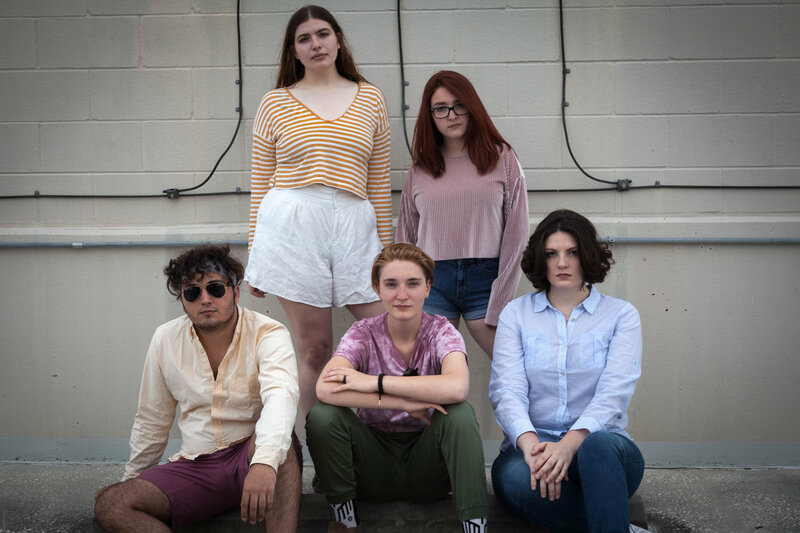 “in order to fully grasp the concept one must first dismiss the preconceived notions of all the real life and fictitious family band stereotypes we’ve all come to know and hate,” says Rachel Vette, lead vocalist and sister. Rachel , Todd, Chad, Brian, and Mitch Vette collectively known as The Vettes are all sister and brothers with Mitch being “adopted” into the family as an honorary brother in 2005, a few months after he joined the band; they began performing together in their teens and early 20s as each sibling was individually enlightened with a passion for music within the same year. With influences ranging from one hit wonders of the 80’s like Aha, and Flock of Seagulls to cult favorites Depeche Mode, Duran Duran, oasis, and Elastica, The Vettes is the first new wave/alternative/ rock outfit to come about in some time the actually makes you miss and appreciate the 80’s. Since 2005 The Vettes have been making a mark on the scene of their hometown, New Orleans, La, and the U.S. and have releases countless untitled demo cd’s before officially releasing their T.V. EP in 2008 and a full-length album PLASTICVILLE in 2010. Their next release is due out soon. 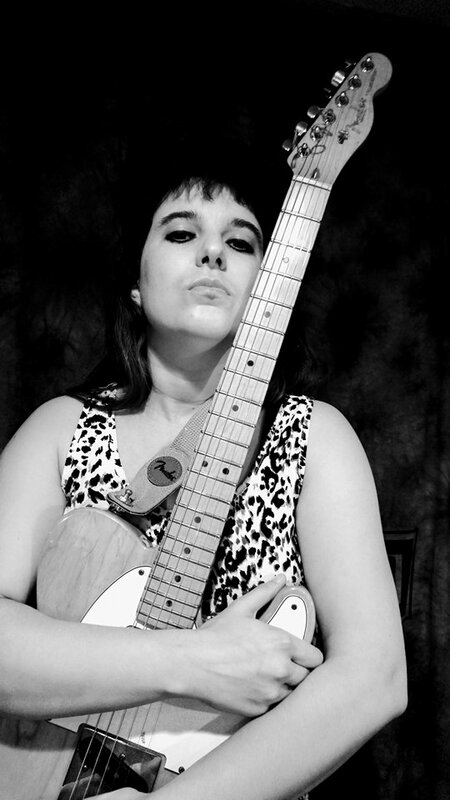 Lani Ramos, lead singer of her band, Big Pearl The & Fugitives Of Funk (BP&TFOF), moved in the summer of 2000 from Los Angeles, CA, to New Orleans, Louisiana (NOLA) and is now a premiere singer of original NOLA rock & roll. A member of the Musician’s Union and Screen Actors Guild (SAG), Ramos a.k.a BIG PEARL has always maintained the name is a band name. With a Mezzo-Soprano vocal range, Ramos writes, co-writers original songs of her own and with counter part and lead guitarist, Michael Wheat. In the recording studio Ramos is credited in coming up with original lyrics for back-up parts on independent projects right on the spot while singing and arranging the songs. Her credits include duet/back-ups with Dave Sharp of The Alarm, LOVE UNDERSTANDING, Rudy Mills Caribbean Funk, SAINTS IN THE POCKET and New Orleans artists Johnny J &The Hitmen, Big Chief Alfred Doucette, Mike Hood and Billy Ding & The Hot Wings. Before forming BP&TFOF, Big Pearl credits include opening for New Orleans notable acts like Earl King, Kermit Ruffins, Bonerama and Frankie Ford. Over the years Ramos’ solo credits include back-up performances with Frankie Ford at Tipitina’s, James Andrews & the Crescent City All-Stars and Chili Groove with the Southern University of New Orleans Orchestra (SUNO) at New Orleans Jazz & Heritage Festivals. NOLA has no shortage of private parties and Ramos has enjoyed living room sing-a-longs with the great Fats Domino, Father Jerome LeDoux and Dr. John. Since 2000, Ramos adds to her arsenal most all the clubs on Bourbon Street either with her band or as a gun for hire at clubs Tree Cou House ‘01-‘03, Funky Pirate ‘04, Tropical Isle ‘04-‘11, Snooks Bar ‘06, Krazy Korner ‘04, The Old Opera House ‘04-‘07, Howl At The Moon ‘04, The Red Rhino ‘02 and a weekly 3-night stint at My Bar, 2008-2010. In 2001 Ramos’ first single ARMS OF HEAVEN on compilation In Loving Tibute 9.11.01, was reviewed in Offbeat Magazine as the ‘quintessential song illustrating feelings over questionable tragedy’. Through the years Ramos has performed regularly in Frenchmen Street music venues like Checkpoint Charlie’s ‘00-‘03, Hookah Café ‘03-‘04, Blue Nile ‘02-‘11, Café Brazil ‘03-‘06, Apple Barrel ‘04-‘10, Ray’s Boom Boom Room ‘07, Café Negril 2007, Bicycle Michael’s ‘01, d.b.a. 2006, Lazziza’s ‘07-‘08 and The John ‘03-‘09. Off-shoot venues include Acadian Beer Garden 2001, Wit’s Inn 2001, Howlin Wolf 2001, Silky O’Sullivan’s 2002, Kim’s 940 ’03-‘04, Bada Bing’s ’03-‘04, Gennifer Flowers Kelsto Club 2005, Melvin’s 2004, The Hard Rock Café Dead Rockers Brunch 2004, Tipitina’s ’03-‘05, The Deck Bar 2004, Kajun’s Pub ’06-‘07, Bud Rip’s 2007, Turtle Bay 2009 and The Maple Leaf 2008. 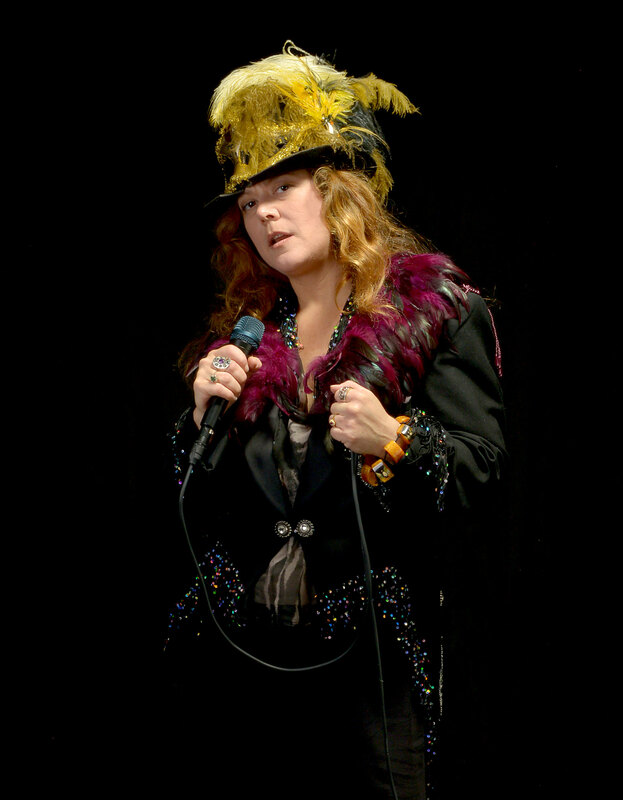 One of many career highlights is performing the Janis Joplin segment at the 17th Annual Janis Joplin Birthday Bash & Gulf Coast Music Hall of Fame 2004 awards show in Port Arthur, TX where Ramos shared a stage with Archie Bell, Frogman Henry and Jivin’ Gene. Ramos appeared on local news channels promoting her segment at the bash as the “Janis chick” and wound up selling out of her debut solo album, Scoot Boogie Baby’s, Lani Ramos. Consequently, Ramos received write-ups in various local newspapers, like the Beaumont Journal, to welcoming reviews. 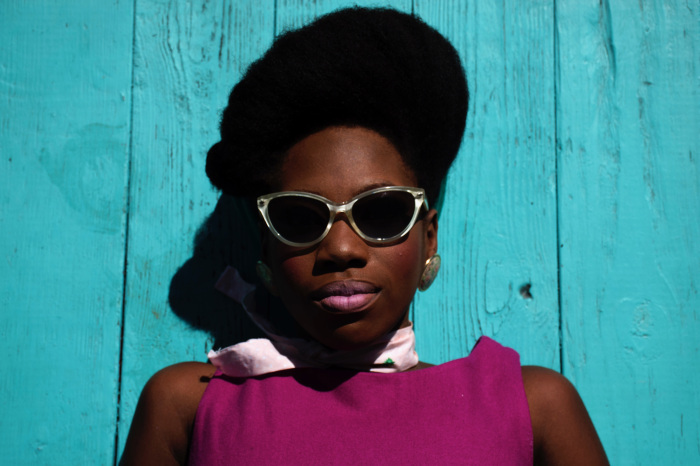 With an in-store performance at Louisiana Music Factory back in New Orleans, Ramos received wonderful accolades online and was put into rotation on New Orleans public radio station, WWOZ 90.7 FM. From there more write-ups ensued from Biz Magazine, Louisiana Music Commission, and www.louisianamusic.org. In 2005, Ramos joined a newly formed horn band where Michael Wheat was the lead guitarist. Big Pearl with Jake Legg & The Fugitives Of Funk opened regularly for Kermit Ruffins on Saturdays which started the “opening band” idea to the Blue Nile booker and owners because of its success. The band eventually received their own headliner slot weekly Tuesdays at the club. Up Frenchmen Street at Apple Barrel on Monday nights, Ramos cultivated an old time country/rock blues show singer/guitarist Ken Swartz. The band played sometimes until 4am with musicians sitting in all night long until Katrina. Meanwhile blown away from NOLA into San Francisco California, Ramos landed on her feet with regular weekly gigs at famed Biscuits & Blues music club. More newspaper write-ups followed in the Modesto Bee and San Francisco Examiner. In the Examiner Ramos is pictured between S.F. mayor Gavin Newsom and California governor Arnold Schwarzenegger on page 5, ‘Who’s In Town Today’, advertising and promoting her shows in the city as a bluesy New Orleans singer. Returning to NOLA, Mardi Gras, 2006, Ramos reunited with guitarist Michael Wheat and went on to co-write with Wheat 10 new original tunes calling the album BIG PEARL DOUBLE FACES. Ramos’ self–produced New Orleans rock & roll album has songs with funky horns, organ and classic piano, and others, with pop/rock flavors. 3 years later the album was released unmastered at LA Music Factory as a beta copy. The following year the album went on to be mastered and released through Flying Colors out of Los Angeles as a downloadable album and is on sale at CD Baby, iTunes, Amazon.com & www.bigpearlandthefugitivesoffunk.com. Currently, at the Blue Nile, BP&TFOF perform a weekly show on Monday nights playing songs off the album Double Faces. Fans enjoy originals, like, SHAKE THAT JUNK, IN THE N.O., and 1 LAST CIGARETTE, and also, with brand new originals, BIG BRASS BED, BOOTY IN THE BIG CHAIR and BORN TO LOOSE. Ramos is also a writer/producer/star of the band’s music video “Shake That Junk” and television writer/producer/director/star of her own musical/comedy/variety TV show, YEAH YOU RITE! The show airs locally in the New Orleans area on New Orleans Access Television (NOA-TV), Channel 99 Cox Communications, Thursdays, 1:30 a.m. & p.m. Ramos showcases her skills not just in singing and dancing, but in sketch comedy too, with friends that are also entertainers. 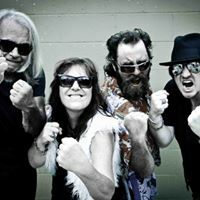 Big Pearl & The Fugitives of Funk are expanding their live shows with bookings around town and around the Gulf Coast. The female-fronted quartet DiNOLA will perform in New Orleans this February following the band’s wide-release album debut Up High. DiNOLA is a New Orleans-based rock band featuring Jimmy Ford on drums, Sue Ford on vocals, Eric Laws on electric guitar and keys, and Eddie Payne on electric bass. The band belongs to a rather eclectic genre which can be described as a re-imagining of heavy British Blues in a manner that echoes the rhythm and gothic voodoo of New Orleans. 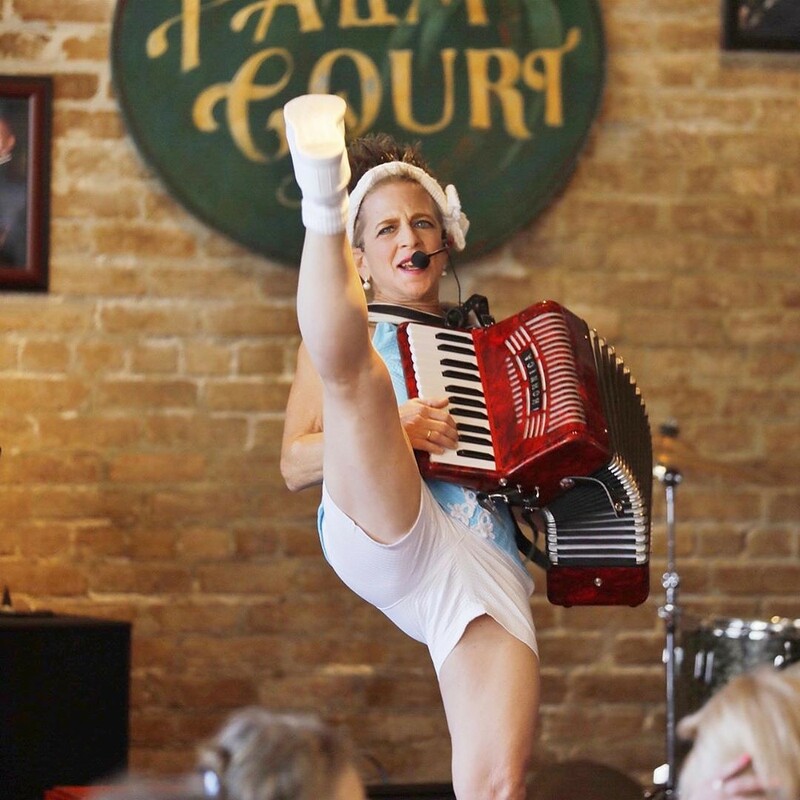 Gina is New Orleans’ best kept secret….not anymore. She grew up in Mobile, Alabama. New Orleans has been her home base for the past 12 years. She first started her career as a Radio announcer for WBLX-AM/FM in Mobile. That’s where she started singing commercial jingles. From there her career as a vocalist took flight. From family functions (which is where it really all started) to wedding ceremonies, underground jazz clubs, outdoor festivals, 5 star hotels and international tours. After moving to New Orleans she began singing with jazz violinist Michael Ward and still to this date shares the stage with him. She is featured on his first CD. Gina recorded her first CD while on tour in Bangkok in 2002. Self titled “Gina”. She is on the compilation CD “Fulton Street Live” produced by Harrah’s New Orleans. Currently she has released a single entitled “Cant Stop Thinking Of You” and a Live CD with her band Anutha Level, which are both available now. Gina’s shared the stage with many artist like, Gerald Levert, Jon B., Pattie Austin, Earl Turner, Fantasia and Ruben Studdard from American Idol…..and let’s not forget her favorites, Bad Company, Roberta Flack, Etta James, Regina Belle, Ann Nesby, the legendary Billy Paul. Her musical style varies from Blues, Jazz, Motown, Pop, Oldies, Hip-hop, Funk, you name it. Gina’s exciting, exhilarating performance has been seen all over the world. Her travels include: Brazil, Taipei, Taiwan; Yokohama, Nagoya, Tokyo, Iwakuni, Japan; Hong Kong, Bangkok, Jakarta, Indonesia and also a tour in the Middle East Abu Dhabi and Dubai. Her performance is guaranteed to be a memorable one for anyone who sees her. Crescent City Sound Chorus is a membership organization of female singers, who meet regularly to practice, perform, socialize and have fun. We currently have over 45 singers of all ages, all walks of life, from all parts of the South Louisiana area. PERFORMANCE The main purpose of CCSC is to get out and sing for our community. We sing at annual shows, a number of community events, and at an annual competition. We also perform Singing Telegrams around Valentine’s Day and Mother’s Day. If you’re looking for a unique musical experience to liven up your event, contact us. EDUCATION In addition to sharing our music with others, another great passion of ours is learning more about the art of a cappella singing. Vocal instruction is a regular part of chorus rehearsals, and a very important component of the chorus experience. A couple of times a year, we will get coaching from a visiting master in the art of barbershop, where we learn many fabulous tricks of the trade. COMPETITION In the spring of every year, CCSC participates in the Region 10 chorus competition in Houston. Competitions are a special time for quartets and choruses from our region to come together to sing for each other, and get some constructive feedback from a panel of judges. Regional winners travel to the International Competition held every fall. QUARTETS Most choruses have a number of members who form their own vocal quartets in addition to singing with the chorus. CCSC is currently home to a number of wonderful quartets and we are very proud of them! 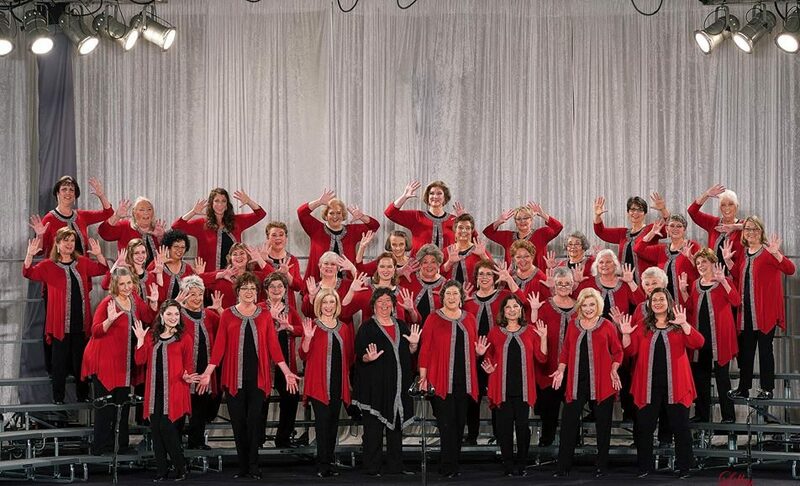 AFFILIATION Crescent City Sound Chorus is a chapter of Sweet Adelines, International, a non-profit organization of approximately 30,000 members in choruses and quartets worldwide. The headquarters is located in Tulsa, Oklahoma. 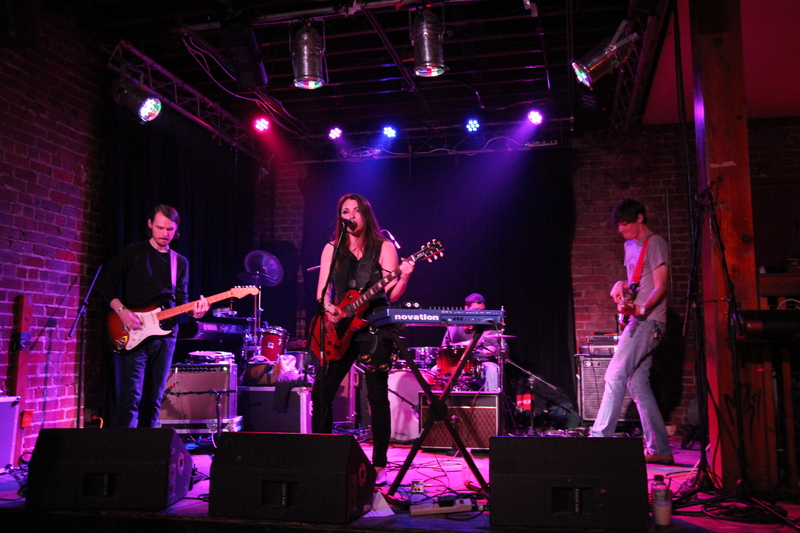 Summer Fits is a four piece 90’s rock-inspired project led by singer/songwriter Melissa Eccles. Under a previous Indie Pop Rock project called We Landed on the Moon! (WLOTM! ), all former members played festivals including Jazz Fest, Voodoo Fest, SXSW, and CMJ Music Festival in New York. They produced three albums charting twice in the College Music Journal, and opened for acts including Train, B52’s and Arcade Fire before parting ways in 2011. In the later months of 2014, several former members of WLOTM! came together to form Summer Fits. They released a small self-titled EP that was named one of the top 20 albums and EP’s to listen to in August of 2015 by adammarxsmind.com. After breaking for a couple of years to refine their sound and attend to life demands, they are excited to debut their new project in New Orleans! Summer Fits is inspired by 90’s female fronted rock, with elements of power vocals from the 80’s and indie rock inspired guitar riffs of the 2000s. They are currently working on a new album. Valerie plays keyboard, accordion, and mandolin. She loves to make audiences go wild with her “wicked” choreography, often performed behind a lighted scrim. Valerie has been delighting audiences for more than 20 years! Even though Valerie has strong roots in cajun and zydeco music, she continues to surprise crowds with fresh and hip new sounds. Some of Valerie’s songs deal with heavy topics such as heartbreak, hardships, and death, while others speak about roller coasters, living in a van down by the river, and just plain having a good night out with your girlfriends! She truly covers the gamut of human emotion with her songwriting. Frenchie Moe was born in France, in 1986. Passionate about Blues guitar and vocals at age 8, she was mentored by British bluesman Victor Brox, whom her father had befriended in a local club. She got to perform in Victor Brox’s band as a teen, hitting her first stages at 12 and starting her first serious band at age 15. She then moved to the USA at age 19, working odd jobs with the hopes of infiltrating the music scene. 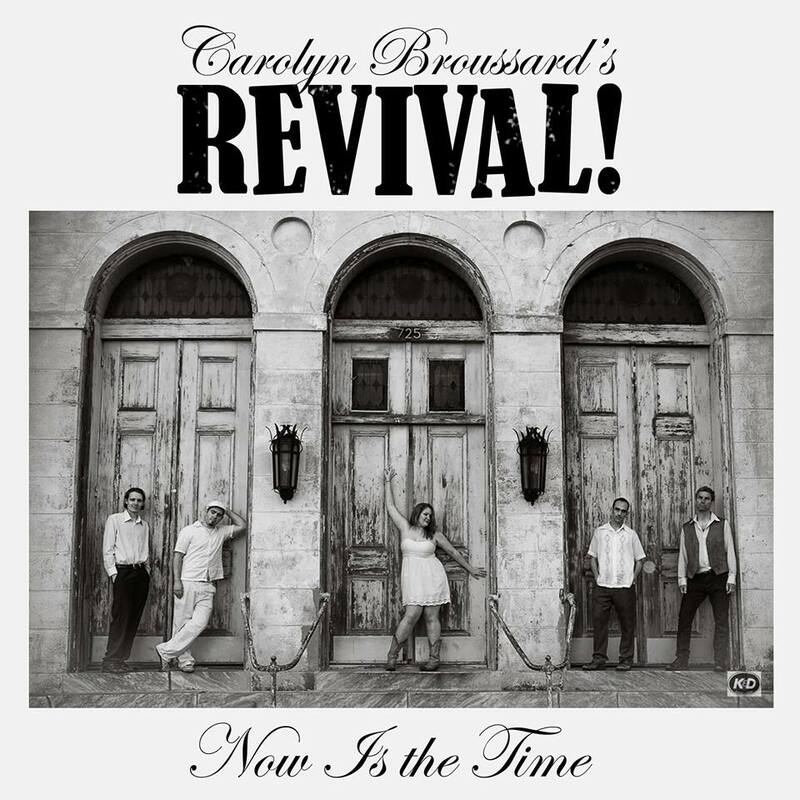 After 5 years in the Midwest, multiple musical projects, and the mentorship of late bluesman Creighton Holley, ex member of the Chicago Rhythm Kings, she finally moved to her dream city of New Orleans. There she formed a new band and was blessed to write and collaborate with a couple of Louisiana Music Hall of Famers, the late Coco Robicheaux, and the legendary Walter Wolfman Washington. Yaszmine Foucha is a 21-year-old of Jamaican Creole descent. She has developed a unique sound through many different influences. In her music, you can hear the benefits of extensive, classical training in jazz and opera. Coming from a family of gospel musicians and spending lots of time in church; has influenced her music as well. Yaszmine’s influences include Rihanna, Janis Joplin, and Amy Winehouse.